If you’ve been looking for a way to revolutionize your dining experience, you won’t need to look any further than InnerChef. Designed to make your life more simple and even a little healthier, InnerChef provides a wide range of meal options that everyone can enjoy. 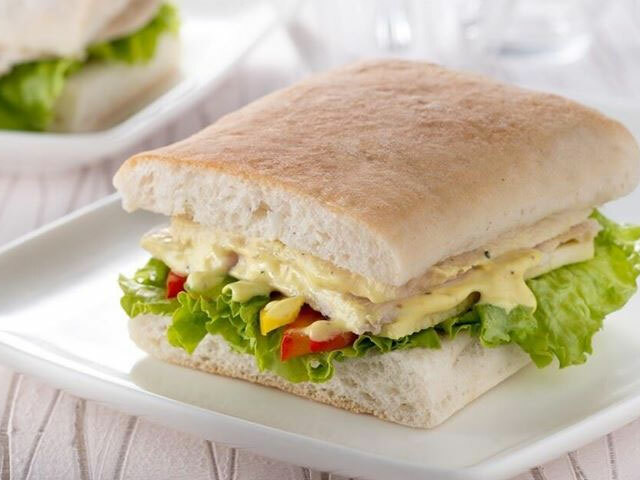 When you use InnerChef coupons with your order, you can enjoy delicious meals at competitive prices that you won’t find at your local restaurant or fast food chain. Founded in 2015, InnerChef has become one of the fastest growing food technology companies within India. The company strives to use the latest technology to provide the highest quality of service to its customers, while also driving a closer relationship with them. InnerChef endeavors to provide customers with the best dining experience possible, which is only further magnified by the company’s dedication to helping its customers to eat healthier in the process. InnerChef also offers a unique dessert marketplace known as Indulge by InnerChef, which allows neighbourhood bakeries and skilled home bakers to provide their goods to clients throughout the region. This marketplace is the first of its kind and currently serves individuals located in Gurgaon, South Delhi and Bangalore. 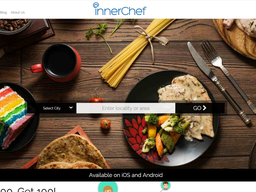 InnerChef aims to eventually expand Indulge to 100 cities within the upcoming year. Whether you’re interested in eating your favorite food or trying something new, InnerChef has appropriate options for everyone. Currently, InnerChef is able to offer European, Mediterranean, and modern Indian cuisine. This includes options such as salads, pastas, paninis, snacks, and an impressive range of desserts. Some examples of what you can expect to see on the menu include Chettinad Chicken with Lachcha Parathas, Paratha Sliders, Pearl Pesto Couscous, Veg Dum Biryani, Paneer Pestoni, Pranky Paneer Roll and Chicken Kri Kri, just to name a few. One aspect to keep in mind is that the food options that are available on InnerChef’s menu will vary depending upon your location and locality. Therefore, some cuisine options that are available in one city may not be available in another city. InnerChef is always expanding its menu options, so it’s a good idea to check in regularly to discover if there’s anything new available in your locality. InnerChef provides two formats for its meals, including Ready To Eat and 15 Minute Meals. When you order a Ready to Eat meal, your food will arrive already prepared so that you can enjoy it as soon as possible. This is great for days when you need a quick meal on the go or when you don’t feel like cooking. 15-Minute Meals are from a ready-to-cook selection of options provided by InnerChef. These meals are suited for individuals that want to cook at home but don’t want to deal with the prep time associated with it. All of your ingredients will be already prepared with this option, so you will only need to follow the recipe that InnerChef provides. Sometimes people make unhealthy eating choices because of the convenience. If fast food is cheap and readily available, people will flock to it as a dining option. In the same sense, if healthy food was more affordable and readily available, it’s more than likely that more people would be interested in choosing healthier options. InnerChef aims to encourage people to make healthier eating choices by making these choices budget friendly and reasonable. One way that this is achieved is through the use of InnerChef discount coupons. These discount coupons allow you to enjoy InnerChef’s meal options for a much lower price than what they would typically sell for on the menu. When you have made a selection for what you would like to eat, proceed to checkout your order. During this process, you will be able to provide your InnerChef promo code, which will be used to apply your discount. Discounts vary, you may want to check in regularly to discover the best deals. In example, if you sign up for InnerChef’s newsletter when you visit the website, you can get Rs.100 off of your next InnerChef purchase. This is just one of the many promotions that InnerChef offers so that you can dine at a discount. Another way that you can save money on your upcoming orders is to consider the InnerChef Give 100, Get 100 promotion. This promotion uses the InnerChef app, which is available on the App Store and Google Play stores respectively. To participate, go to “Share & Earn” in the app and then invite your friends using your unique InnerChef coupons. Your friends will receive Rs.100 when you invite them and you will receive Rs.100 for every friend that orders following your invitation. If you’ve recently decided that you need to move towards eating healthier but you don’t know where to start, InnerChef can be a great way to enable and empower yourself to take control of your eating habits. Whether you are at home or on the go, you can order healthy, delicious food from InnerChef and you can even learn how to prepare some of the most popular entrees with the company’s 15 Minute Meals. This is a great alternative for individuals that have considered trying to create a meal plan on their own. InnerChef coupons can be an ideal way to begin your introduction to the service. These deals will not only provide you with a general idea of what type of bargains you can expect when you dine with InnerChef, but it will also provide you with the knowledge of vast selection of options you can choose from for a low and reasonable price. If you’re regularly frugal or you’re just starting to consider how healthier food options can fit into your budget, this makes InnerChef a great choice.